In the future, car owners will be able to enhance their car’s security, intelligence, and performance without getting up from the sofa. That is because updating car software will be as simple as updating apps on smartphones today. A swipe of the smartphone will be enough to automatically update vehicle software or to download new functions directly from the cloud – without any need to visit the repair shop. That's great news for car owners, but not so wonderful for repairers. “In a few years from now, automatic software updates will be possible in every new car,” says Dr. Markus Heyn, a member of the Bosch board of management. “Wireless over-the-air updates are extremely convenient for drivers. In addition, Bosch is making these online updates secure and fast,” Heyn continues. Bosch has developed all the features required for these wireless updates in-house. They range from the control units and in-car communication infrastructure to modern encryption technologies and the Bosch IoT cloud. Dr. Markus Heyn, a member of the Bosch board of management. With the car turning increasingly into a smartphone on wheels, keeping vehicle software up to date is becoming increasingly important. New functions can provide extra convenience, even after the vehicle has been bought. Over-the-air software updates will therefore soon be a standard feature. Vehicles feature as many as 100 control units and even compact cars have between 30 and 50 and their software governs nearly every function in the vehicle. 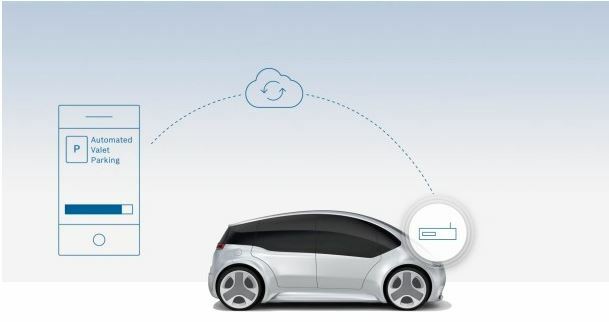 In addition, more and more vehicles are now connected – with the internet, other cars, and the infrastructure. This means a greater risk of weak links in vehicle software, as well as of manipulation. In this context, software updates over the cloud offer a solution that keeps cars constantly up to date, and thus also secure. “Cars are driven for 15 years or more. Over-the-air software updates are Bosch’s contribution to keeping vehicle software constantly up to date, without having to visit the repair shop,” Heyn says. In addition, the cloud updates mean that ever more functions can be added, with ever greater scope. If the necessary hardware is already installed, a new software function can be tried out and subsequently downloaded. In this way, lane-keeping or park-assist functions can be added, for example. And it is not just drivers that benefit from over-the-air software updates: in 2015, 15 percent of recalls in the automotive industry in the U.S. had to do with software errors. Four years previously, this figure was only 5 percent, according to a U.S. study based on data from the National Highway Traffic Safety Association (NHTSA). “For automakers and their customers alike, such repair-shop visits are a huge waste of time and money, and online updates can significantly reduce this,” Heyn says. Secure, fast, and simple – that’s how over-the-air software updates work. On the driver’s smartphone or the car’s infotainment system, the online security updates are started and any new functions that need to be downloaded are selected. This information is sent to the cloud, which acts like a kind of app store, holding the updates in readiness and starting the process of downloading software to the vehicle. The data can either be downloaded in the background while the car is moving, or overnight when it is parked in its garage. As soon as the vehicle is in a secure condition (once it has parked, for example), the software updates are installed on the appropriate control units, where they are immediately activated. Security and the smooth interaction of automotive electronics, cloud, and software are decisive for over-the-air updates. Data security is ensured by the latest encryption technologies developed at the Bosch subsidiary Escrypt. A complex security architecture with end-to-end encryption protects the data transmission against unauthorized access. At the car-cloud interfaces, secure protocols and filters act like a firewall to ward off any hacking attempts. To ensure that over-the air software updates are not just secure, but also fast and reliable, Bosch uses fast update technologies such as delta and compression mechanisms. These accelerate the update process and reduce cost, since the data volume for the transmission remains low. One further security measure is to transmit the updates in sequences. If problems occur, the update process can be stopped and adjusted. The technology at the heart of these over-the air updates is the Bosch Automotive Cloud Suite. Its software elements enable all functions needed for over-the-air updates – by drivers, automakers, and even by vehicles themselves.